The EC9700 Curved OLED ULTRA HD 4K TV puts our two best technologies into one very special television. OLED's incredible contrast ratio gives you the deepest black levels for a greater sense of realism. Our exclusive OLED technology also brings two million more sub-pixels than conventional HDTVs, now with 4K resolution* that is four times clearer than Full HD. The picture is so lifelike, you'll forget you're watching a TV. With our Tru-4K Engine Pro, your current HD and even SD content will be converted to near-4K standards, so you can enjoy the benefits of ULTRA HD no matter what you're watching. 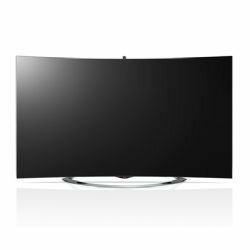 And despite all of this advanced technology inside, the EC9700 boasts an eye-catching curved design and pencil-thin frame that will be a beautiful addition to any room in the house. Discover LG's exclusive WRGB OLED, a new type of display that delivers the ultimate entertainment to your home. Enjoy spectacular picture quality with bright, vibrant colors and high-definition imagery. LG OLED TVs have an infinite contrast ratio, with self-lighting pixel technology that displays the brightest whites to the deepest blacks for a greater sense of realism. Higher contrast is better, and Infinite has been impossible… until now. LG's advanced 4 Color Pixel technology adds an unfiltered, white sub-pixel to the traditional red, green and blue, for a brighter picture with a wider range of colors and superior color accuracy. With four times the resolution of Full HD 1080p, LG Ultra HD 4K TV amazes with its brilliant clarity. LG ULTRA HD TVs offer 4 times the resolution of Full HD* for an ultra-clear picture, even on large screens. *4K/UHD content delivery standards still being developed. Our best resolution upscaler yet for content so close to native 4K it is nearly impossible to tell the difference. Next-generation 4K video uses HEVC-format compression, so a built-in HEVC decoder makes this LG ULTRA HD TV ready to deliver 4K content. Beautiful impressions start early, with a design that's dramatically curved and sleek as a pencil. LG OLED TV opens up a whole new world of style and design with a depth of only 0.17 inches at its thinnest point, the same thickness as a pencil. 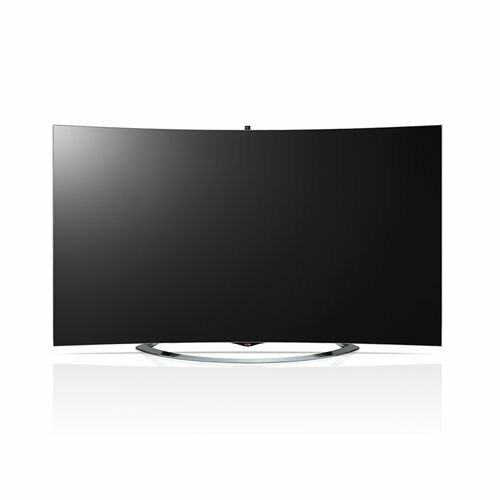 The curve of the screen is designed so that your eyes are equally distant from all parts of the screen when sitting in front of the TV, providing a natural and immersive viewing experience. LG Smart TV* makes it easy to connect to Netflix®, Hulu Plus®, YouTube® and more. The Magic Remote lets you simply point, click, scroll and even speak your way to exactly what you want, all with a new, more intuitive webOS user interface*. LG Smart TV* with the new webOS platform is quick to learn and fun to use, easily connecting to other devices, organizing all of your entertainment and searching for more via the intuitive webOS user interface*. Spend less time navigating and more time enjoying your entertainment**. The new dimension of immersive excitement, extra easy to share with LG's battery-free glasses. 4K 3D+* gives you a more detailed and lifelike experience that will blow you away. LG Cinema 3D glasses are lightweight, battery-free and inexpensive, just like the ones at the theater. Two-player gaming*** on one TV without a split screen. *Viewing 3D video content may cause discomfort visit www.lg.com for details. **4K/UHD content delivery standards still being developed. ***Requires special glasses, sold separately.